Just about a year ago, we began working with the wonderful folks from IDEO, the international design consultancy, to take part in a pilot program for an initiative they were working on called the Purpose Project. 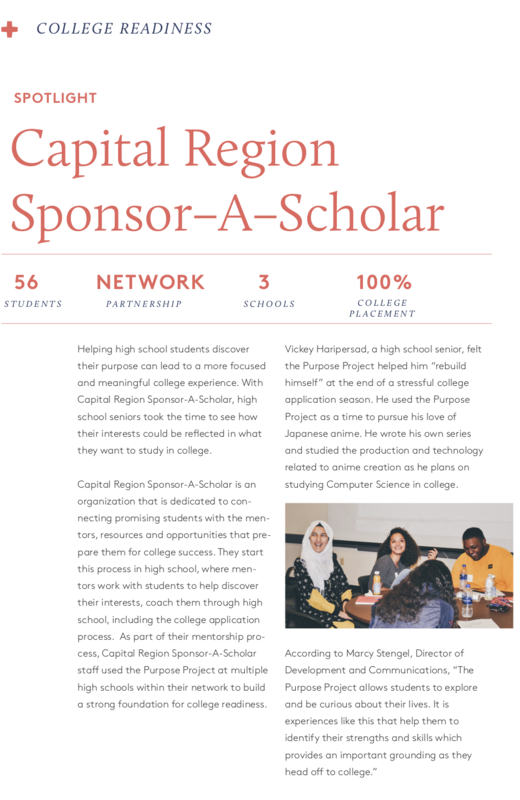 We had 56 Scholars from three schools take part in the eight-week program, and our results were highlighted in their recent Impact Report. This was a huge honor, as they worked with 38 partner organizations and schools across the country, and only chose four to highlight in their case studies for the publication. The full report is a fascinating view on the way that designing new student experiences can transform student viewpoints.